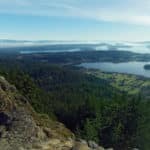 Join one of our AMGA-certified guides for this rock climbing outing to the summit of Mount Erie, the highest point of Fidalgo Island. Mount Erie is one of the most amazing climbing spots in the Pacific Northwest. 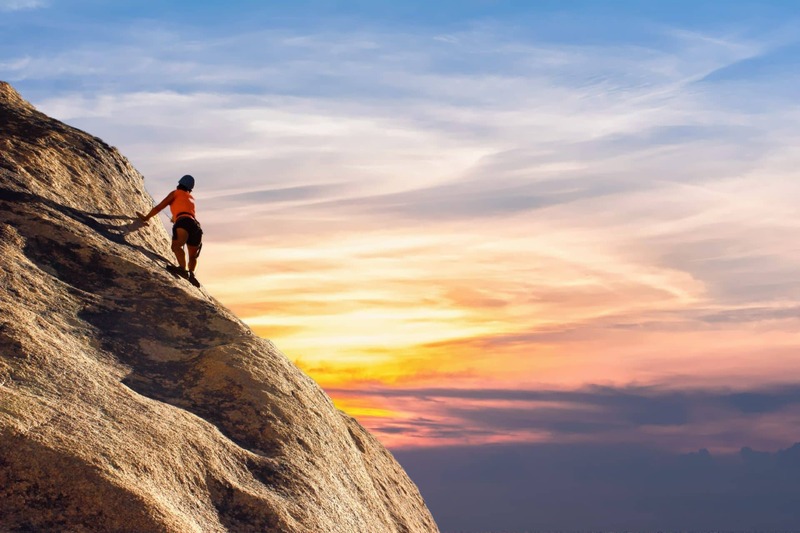 If you want to try some of the climbing routes to its summit, this day outing is for you! 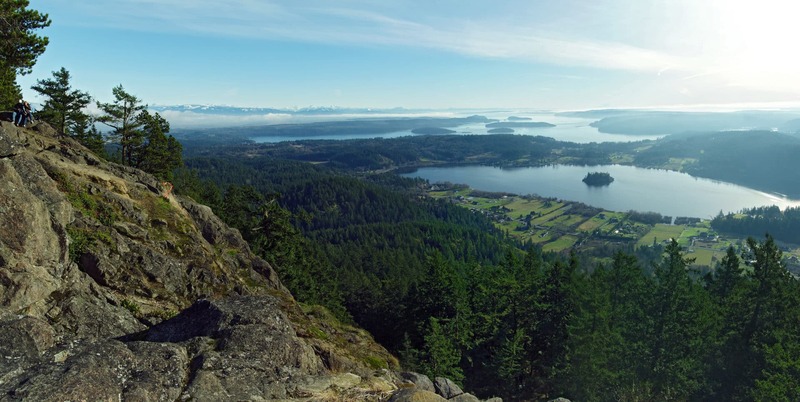 Situated in Fidalgo Island, Mount Erie rises 388 meters above Puget Sound and it is the highest point of the island. It is located within the Anacortes Community Forest Lands and its park is operated by the city of Anacortes. First explored in the 1960s, Mount Erie offers an endless variety of routes for all abilities. 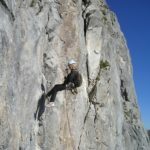 Most of them ar moderate and easy climbs for beginners, but there are also challenging multi pitch routes for advanced climbers. Three of the most popular lines are Powerline Wall, The Snag Buttress and Summit Wall. 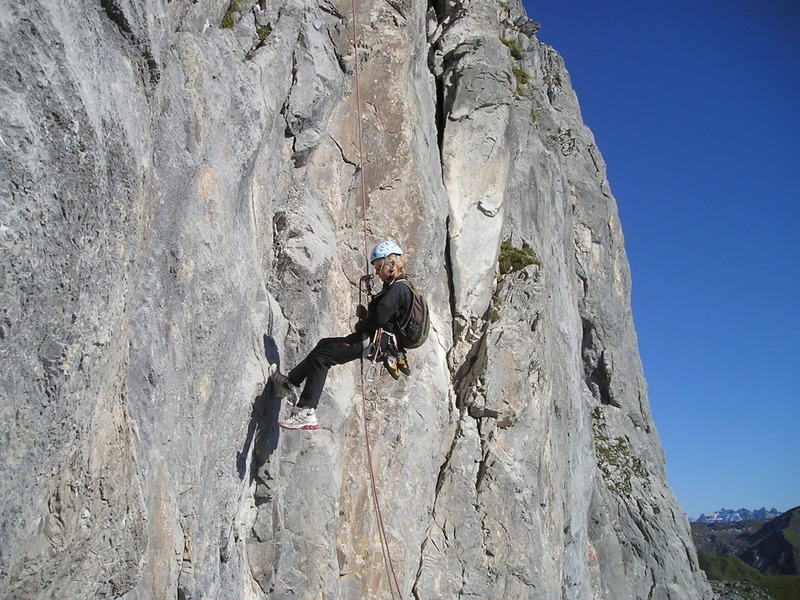 In this tour we will select the best route depending on your climbing skills and your wishes. Mount Erie is composed mostly of feldspar and hornblende rich diorite, perfect for climbing. Furthermore, it lies in the rain shadow of the Olympics, so it stays dry and warm during the most part of the year. 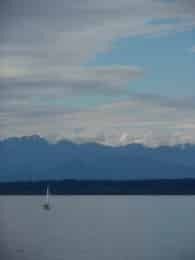 From its summit we will enjoy a panoramic view: island-dotted waters, mounts Baker and Rainier, and the Olympic Peninsula. So, if you want to climb to the highest point of Fidalgo Island, please contact me! Let me guide you to the summit of the beautiful Mount Erie! Come discover the stunning mountains in the Pacific Northwest. 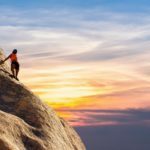 From Mount Rainier, to Mount Shuksan and Mount Baker, will take you to all of the most iconic summits in Washington State. Join us for a mountaineering or skiing adventure in some of the most beautiful spots in the US.